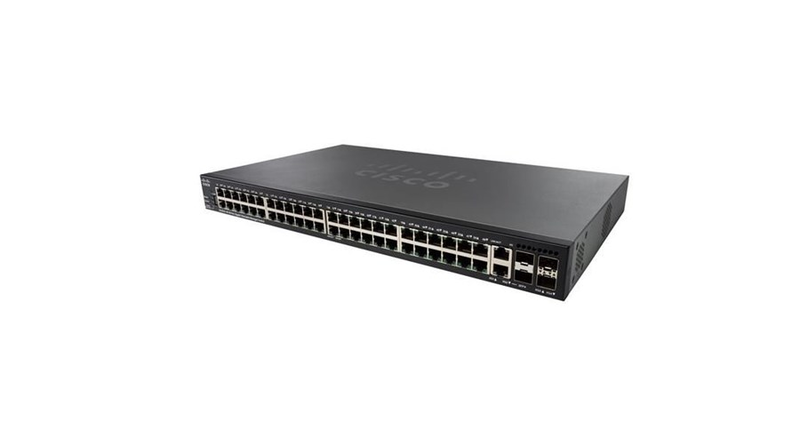 The Cisco 350X Series Stackable Managed Switches are a new line of stackable managed Ethernet switches that provide the rich capabilities you need to support a more demanding network environment at a very affordable price. The SG350X models provide 24 or 48 ports of Gigabit and Multigigabit Ethernet connectivity with 10 Gigabit uplinks. Cisco 350X Series switches break the barrier of 10 Gigabit Ethernet adoption by providing affordable and flexible configurations customized for the demanding network requirements of small and medium businesses. Network needs are changing quickly. Thanks to evolving wireless standards and the rising number of wireless devices, keeping up with data rates and growing traffic can be a challenge. Your traditional Ethernet infrastructure can support speeds up to 1 Gigabit per second (Gbps), but competing today requires much more capacity. PoE capabilities simplify the deployment of advanced technologies by allowing you to connect and power network endpoints over a single Ethernet cable, without having to install separate power supplies. Cisco 350X Series switches are also fully backward compatible with Cisco legacy PoE protocols.